You are a host to more than 100 trillion bacteria (about 3-4 pounds) that live in your gut and control every aspect of your physiology. These gut bugs, known as your microbiome, are your greatest allies to improving and maintaining your health. Our individual microbiomes are in many ways our genetic fingerprint, as they help determine our unique DNA, hereditary factors, predisposition to diseases, body type, weight, metabolism, and much more. There’s a party in your gut, and you need to nourish your guests in the best way possible so they, in turn, take care of you. After all, you don’t want the bad guys crashing your party and destroying your inner ecosystem, right? The bad guys (pathogenic bacteria, yeast & fungus, parasites) taking over is the first step in imbalance and inflammation in the body that sets the stage for disease. Your microbiome requires proper care and feeding, just like the plants in your garden. Your gut bugs work for you to digest food, manufacture vitamins, absorb nutrients, and keep your immune system running in tip top shape. When you take care of them, they prevent the unwanted bad guys from breaking down the door, destroying your ecosystem, and ruining the party. You feel great, your skin glows, you have good poops, and your stomach is nice and flat. No one gives you a guidebook on how to nourish your gut bugs. It’s easy to forget they’re in there until you start to experience gas, bloating, indigestion, heartburn, constipation, diarrhea; you know the drill. If you’re experiencing nagging digestive symptoms, it’s likely the bad guys have already started to take over. But don’t despair. Here’s the guidebook you need to reclaim a healthy gut. Even if you’re already feeling good, you’ll learn how to keep your microbiome happy. Our food supply has changed dramatically over the past couple hundred years. Our great grandparents had access to freshly plucked veggies and animals that roamed freely. Enter the Industrial Revolution and population boom that brought industrialized agriculture. Farming moved away from organic-by-default and into heavy use of pesticides, fungicides, and herbicides, many of which are not tested for safety. Hybridized foods hit the scene, and while not all bad (many fruits and vegetables are hybridized, for example), wheat in particular was engineered to contain triple the gluten content so it would result in a heartier crop that could survive in a multitude of conditions. And wheat is a government subsidized crop! The result in your body? A gluten product that’s very difficult to digest and therefore causes an increase in inflammation, especially in the gut, and a 400 percent increase in celiac disease over the past 50 years (source). Genetically modified foods (also not tested for safety) are even scarier. Think about it: Roundup ready crops are engineered to survive herbicides, such as glyphosate, that kill weeds. Roundup kills plants by interfering with a biochemical pathway involved with synthesis of amino acids, called the shikimate pathway. This pathway is not found in humans; therefore, it was assumed that glyphosate does not harm humans. The pathway is found in bacteria, however, and we depend on bacteria in the gastrointestinal tract for digestion and synthesis of essential amino acids. (source) I don’t know about you, but this scares the crap out of me (so to speak). It’s possible–probable even– that GM foods are harming our microbiome and interfering with the biochemistry of bacteria in our GI tract. Our attempts to improve upon nature in the dietary realm have been downright disastrous. Industrial solvent-extracted seed oils, hydrogenated fats, high fructose corn syrup, wheat fortified with extra gluten, acres of soil-depleting monoculture crops, untested GMOs, and feedlot meat that makes animals sick and people sicker. It’s enough to make your head spin and your gut sink. Don’t despair. It seems overwhelming and dizzying, but the answer to a healthy gut is simple: EAT REAL FOOD. Food that contains one ingredient: the food itself. Avoid excess sugar and genetically modified foods. And the food you most want to focus on for a healthy microbiome is FIBER. More on that in a bit. refined carbs like white flour, baked goods, cookies, cereal, snack bars, crackers, anything in a box that is made from something that used to vaguely resemble a plant or a grain. sugar like white sugar, corn syrup, and soda. Sugar is like the bad guys that come in and kill everyone in your friendly gut party, then take over and pollute the fertile soil and kill the pretty flowers in your inner ecosystem. conventionally raised meat & dairy are filled with toxins and antibiotics that wipe out your flora. Don’t eat sick animals: what nourishment are they providing you? Not the mention that it’s unethical to support feedlot operations that exploit animals. Side note: meat from antibiotic-laden foods are obesogenic (makes you fat). Genetically modified foods. The most common are soy, canola, corn, papaya, squash, sugar beets. Focus on a fiber-rich, anti-inflammatory diet above all. You want to aim for 40-50 grams of fiber each day. This sounds like a lot, but it’s about 2 cereal bowls’ worth of veggies. Easy, right? Just fill 2 cereal bowls with vegetables and legumes of all types every day. Lentils for example have like 17 grams of fiber per cup! soluble fiber such as beans, avocado, psyllium, sweet potato (and all root veggies), banana, figs, cruciferous veggies like brussels sprouts, kale, broccoli. 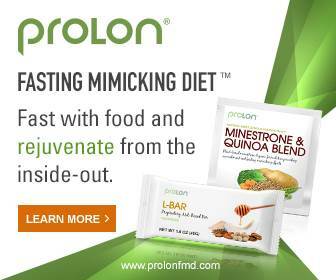 Soluble fiber dissolves and binds with toxins for excretion, regulates blood sugar, reduces inflammation. insoluble fiber adds bulk to stool so it passes through the colon and is high in the prebiotic material needed to feed probiotics. You can’t digest this type of fiber, but your gut bacteria love it. Think tough outer skins (like apple and cucumber skin). Cabbage, lettuce, peas, and bell peppers are also good sources. Gut prebiotic superfoods include radishes, jicama, carrots, and inulin-rich foods (banana, leek, onion, garlic, artichoke, asparagus). These prebiotics are preferred fuel for your probiotics. resistant starch is another gut superfood: potato starch, sweet potato, plantain, cooked and cooled white rice. Resistant starch (RS) passes through the upper digestive tract and stimulates good bacteria growth in the large intestine and colon. Additionally, resistant starch increases fermentation and the production of short-chain fatty acids like butyrate that lower the pH of our bowel, making it less hospitable for pathogens and bad bacteria. RS also improve glucose metabolism and insulin levels, making it easier to maintain or lose weight. You can add RS to your diet easily with potato starch in smoothies, or use banana flour in smoothies or for baking. Here’s an easy RS mashed potato recipe. Fermented foods & drinks are the best sources of probiotics and enzymes, even more so than a probiotic supplement. They’ll beef up your arsenal of good gut bugs and fight off the bad guys while also providing enzymes to help you digest. Fermentation also produces vitamin K2, which is cancer-protective and helps you absorb vitamin D. Get raw kraut every day (don’t forget the juice! Add to soups or have a shot daily) or my other favorite choice, coconut water kefir. I’m throwing turmeric on this list because it’s just such an amazing anti-inflammatory, and anytime you’re fighting inflammation, you’re winning the war on the bad guys in the gut. Buy organic wherever possible to avoid the pesticides and herbicides that destroy your gut bacteria. Check out the dirty dozen list to determine which foods to buy organic. ALWAYS buy organic meat so you’re not getting a dose of antibiotics. You can also add a probiotic. Never hurts (unless you have SIBO). Click here to determine which probiotic you should take, and make sure to rotate between different brands so you get a variety of strains. Note on probiotics: recent research has shown that while probiotics have numerous benefits, they don’t quantitatively increase beneficial gut microbes over the long term. That means you can’t cheat and just take a probiotic. 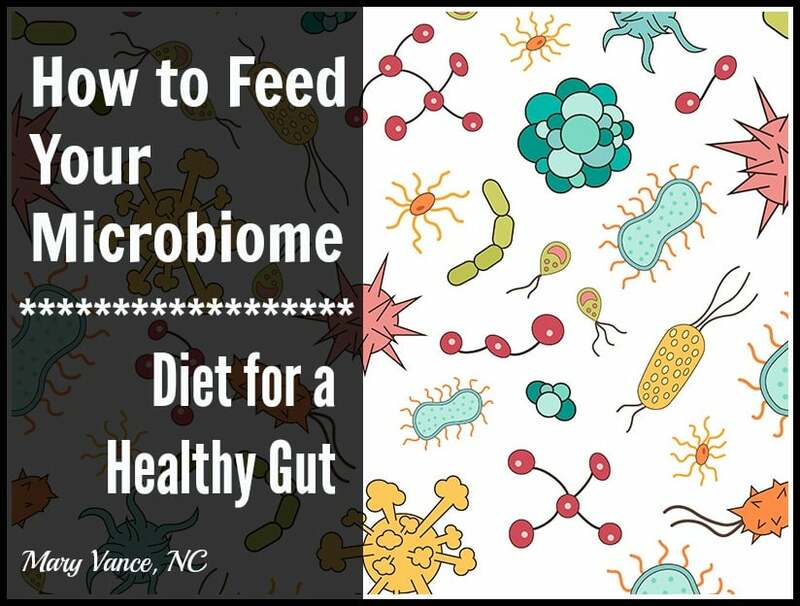 You have to get the fibers and prebiotics that your gut bugs need to build a healthy microbiome. Including the above foods daily will feed the right gut bugs and encourage them to multiply, keeping the bad guys in check. If you’re already experiencing digestive symptoms, you’ll want implement my 4-step plan for gut healing in addition to this diet. Also check out my list of gut healing superfoods. 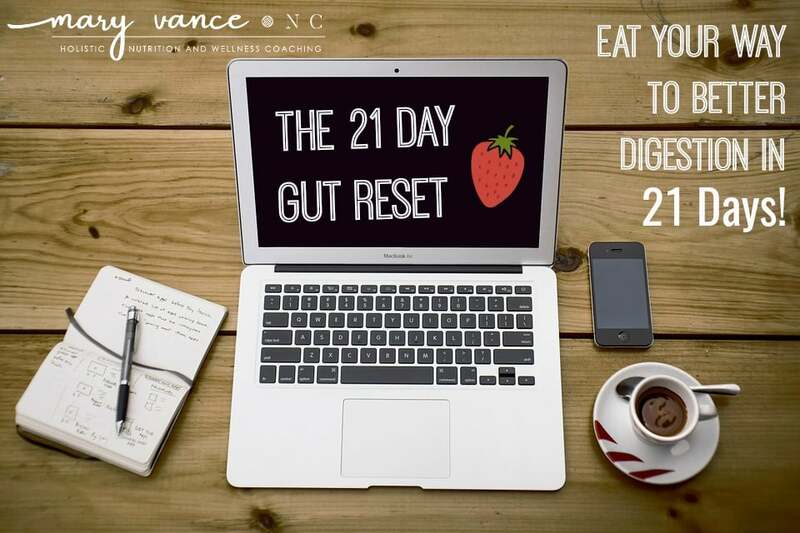 Want to Jumpstart Gut Healing? Great article, I am currently being treated for klebsiella in the gut after having food intolerance issues that just became worse and worse over time. I currently can only eat protien, nuts, eggs, rice and spinach. 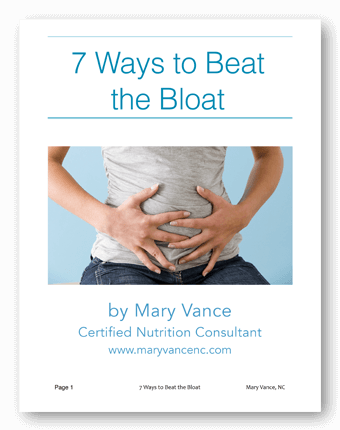 All other foods (vegetables and most fruit) give me terrible gas which then creates pain, bloating and constipation. All though I’m avoiding them now I wonder how and if I can reintroduce them without my body having all these reactions?? Would love to hear your thoughts? Loving your website and articles, One of the best resources I have found so far! I have Candida and Dysbiosis. What foods should I eat or avoid to make sure I am successful at killing off the Candida? Do you have a meal plan to follow or know of a good source to find a meal plan? I’ve seen lists of food but I would like meal ideas. Hi Melissa, if you run a search for candida on my site, you’ll find several posts with info about diet. I don’t have meal plans available free of charge, but google might have some meal plan options. Hi I love your articles. I have been struggling with SIBO and Candida overgrowth for years now, prob longer but never knew. I’ve been following strict protocols for months now. I seem to have gotten the SIBO under control but when that happened my candida got much worse. I took the Interfase plus for a couple months when killing off the SIBO but have stopped recently to give my body a break. I heard not to take the biofilm disruptors for too long because they also disrupte the good bacteria. I seem to have a issue taking the undecylenic acid and caprylic acid due to my gut issues. I have a leaky gut and also a bad histamine intolerance so makes it very difficult for me with foods. I’ve done so many protocols and taken so many different supplements I’m at a loss of what to do next. I recently just added in AHCC to help my immune system. Hey Erika, glad you find the info useful. It’s really difficult to navigate this stuff without help, especially for a complex case. I’d recommend working with a naturopath or functional medicine nutritionist so you can get the guidance you need. Hi Mary, I am an avid reader and follower. I see you recommend products but these products are missing from your list. Please look into this company. They are certified organic and have the purest of ingredients which are also fair trade. The Fasttrack probiotics have helped me so much. My immune is better. They cultivated the probiotic for 22 years. They are carbon negative. 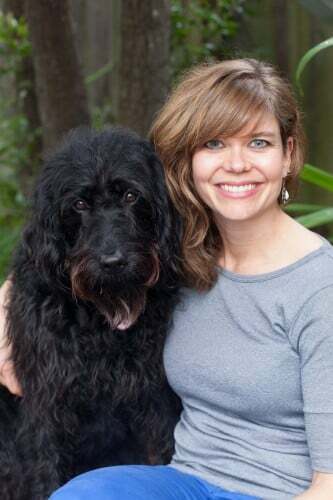 Please reach out to me @goorganicwithkat so we can chat.